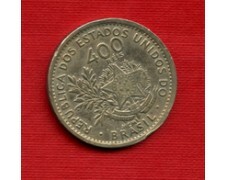 1873 BRASILE - 40 Reis bronzo effigie di Petrus II° (Cat. World Coins KM# 479) bella conservazione BB. 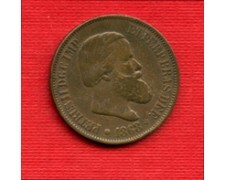 1873 BRAZIL - 40 Reis bronze effigy of Petrus II (Cat. World Coins KM # 479) beautiful conservation BB. 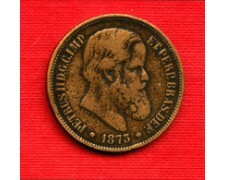 1868 BRASILE - 20 Reis bronzo " Pedro II° " (Cat. 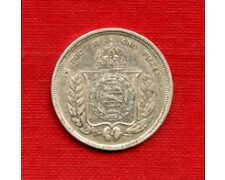 World Coins KM.474) splendida conservazione BB/Spl. 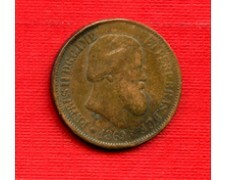 1868 BRAZIL - 20 Reis Bronze "Pedro II" (Cat. World Coins KM.474) beautiful conservation BB / Spl. 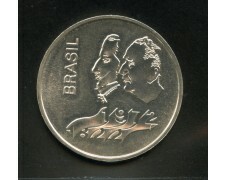 1972 BRASILE - 20 Cruzeiros Argento 900/°°° Peso Gr. 18,04 - 150° Anniversario dell'Indipendenza (Cat. World Coins N° KM # 583) Splendida conservazione Spl/qFdc.